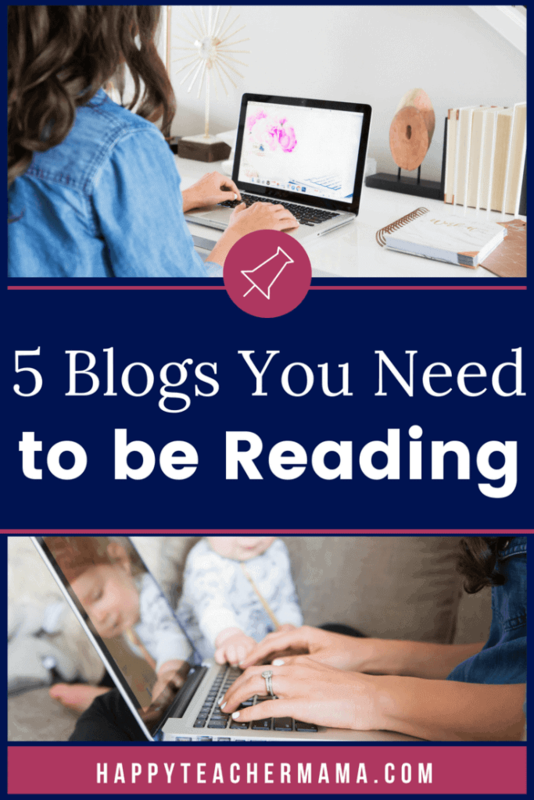 Do you ever find yourself gravitating toward certain blogs because you feel like you gain something of value just by reading the content? I know I do. It’s like the blogger knows exactly how I’m feeling, and what I need for this specific season in my life. That’s what drives me back to my favorite blogs every time. As I have transitioned between classroom teacher and homeschooling teacher, I’ve faced new situations for which I’ve sought answers. Being a newbie in each area, I’ve typically found what I needed on blogs written by individuals who are a little farther down the road in their experiences. Having recently added virtual teacher to my repertoire, I’ve found myself once again seeking out experienced individuals for guidance. And it’s this search that got me thinking about all of my favorite blogs. There are so many blogs out there on every possible subject imaginable, and it can be daunting to try and distinguish the good, the bad, and the ugly. So, I decided to narrow down my 5 favorite blogs. The ones that I continue to go back to because they are just that good! Some of them you may already be familiar with, but hopefully, you’ll find a few new ones that will become instant favorites! This category is dedicated to the blogs devoted to teaching. Whether we are stay-at-home mamas, homeschooling mamas, classroom teachers, or some combination of those, we’re all teachers who love our “kids.” It’s this love for our biological, adopted, and classroom “kids” that drives us to seek out ways to improve as teachers. Thus, these favorites provide amazing information and top-notch educational resources. BUT, we aren’t talking about websites, we’re talking about blogs. Well, do you want to know a secret? TpT isn’t just a website that sells educational resources. It’s also home to a fantastic blog where you can find information about teaching strategies, classroom management, and trends in education…just to name a few. And the best part is, many of the posts are written by the amazing teacher-authors you know and love. Trust me, you need to check it out! One Stop Teacher Shop-I love this blog because you can find amazing resources and information. Kristin, the woman behind the blog, has created, in my opinion, the absolute BEST spiral review resources on the market! As my boys enter new grade levels, I purchase her spiral review bundles EVERY YEAR. And while I am frugal about spending money, these are worth every penny. On her blog, you can find all kinds of great information about the importance of doing spiral reviews as well as unique ways to use the resources daily! Obviously, this set of blogs is geared toward homeschoolers, but just as importantly, they contain helpful content in a variety of areas. So, homeschoolers or not, you can find exceptional content here. Not Consumed-If ever there was a blogging mama you need to follow, it’s Kim from Not Consumed. She is a single mom (not by choice) with four children. Somehow, she manages to work fulltime and provide for her family while homeschooling. Her youngest son was diagnosed with cancer this past year, also. The encouragement and resources you can find on her site are awesome. 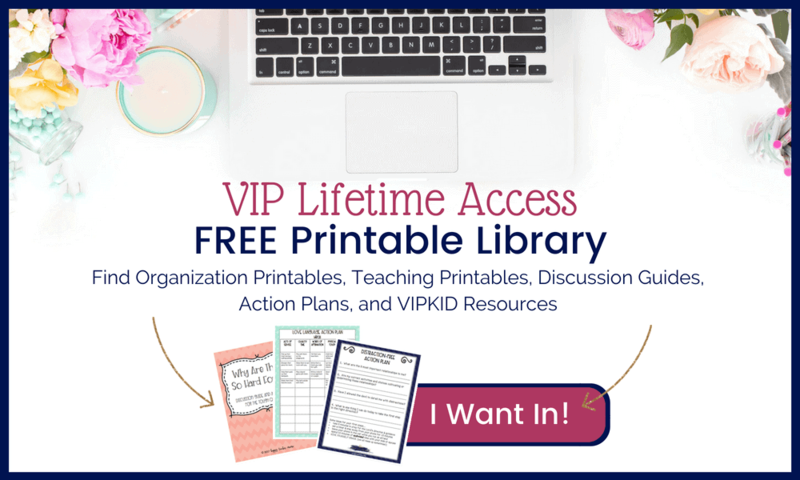 She has several FREE bundles of printables to help you on your homeschooling journey. But, the amazing thing about Kim is that she has such great discipleship and Bible resources for kids. WE LOVE THEM! Our favorites have been “My Brother’s Keeper” (a study on sibling rivalry) and “Because I Said So” (a study about understanding obedience). My boys have learned so much from these. We have 2 others we are planning to work on this school year! So if you don’t homeschool, but you want great Bible, quiet time, and discipleship books, this is the site you’ll want to visit. I think it will definitely be one of your favorite blogs, too. Life of a Homeschool Mom-The main focus of this blog is homeschooling, but Heather also talks about many other things like marriage, homemaking, and recipes. I really enjoy the fact that she gives away so many amazing resources for FREE. And, I also appreciate that she doesn’t “sugar coat” life…she just tells it like it is! Her site is definitely one you’ll want to visit. I Heart Organizing– I decided to wrap up with this blog because it was the first blog I ever followed closely. I know…it doesn’t have anything to do with teaching, but I’ve found so many of Jen’s posts have helped me simplify my life! The spaces she has created are so clean, fresh and drool-worthy. Honestly, I love everything about the blog, and I think I’ve read every article she’s ever written. She has even inspired me to tackle some of the most disorganized spaces in my home! And because of that, Jen has earned the “Favorite Blog Since the Beginning” Award! I hope you can find as much joy and help as I have with these blogs. There are many other AMAZING blogs in the blog-o-sphere, but these just happen to be some personal favorites. Do you have any favorite blogs that have been helpful to you? If so, I’d love for you to mention them in the comments! I love the I heart organizing blog. Thanks so much for that! I am always trying to find better ways to organize the clutter of my life. I also aspire to be as organized as Jen of I Heart Organizing! For exercise, I actually like to reference Girls Gone Strong. They are great about body image AND getting form right on so many exercises. These are great blogs and great bloggers!! I like i Heart Organizing, too! She has a lot of great tips and her home is inspiring. I’m going to share this on Twitter. I think my followers may like this list.